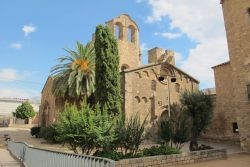 The Romanesque styled church of Sant Pau del Camp is one of Barcelona’s oldest churches. 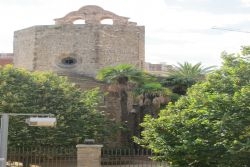 Located in the centre of El Raval district this church (meaning St. Paul of the Plain) was founded in the tenth century as a Benedictine Monastery and, as its name denotes, was located in the open fields outside the former city walls. The church has an interesting history which has even seen it function as a soldier’s barracks and a school. The building of this hidden gem itself does show its age, however one of the best features is the wonderful 12th century cloister which is a great place to take a moments quiet reflection. The main entrance is adorned with primitive thirteenth century carvings of birds, fish and faces. 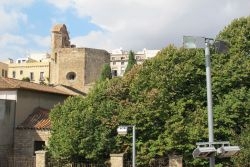 The Sant Pau del Camp church is one of the most beautiful medieval churches in Barcelona, together with the Cathedral, Santa Maria del Mar, Santa Maria del Pi, Sant Pere de Puel.les and the cloister of Pedralbes.